It’s been almost a year since GM’s CEO Mary Barra promised the company would have an affordable, 200-mile electric vehicle priced at $30,000. That statement brought a ton of press, and many nay-sayers who thought it couldn’t be done. 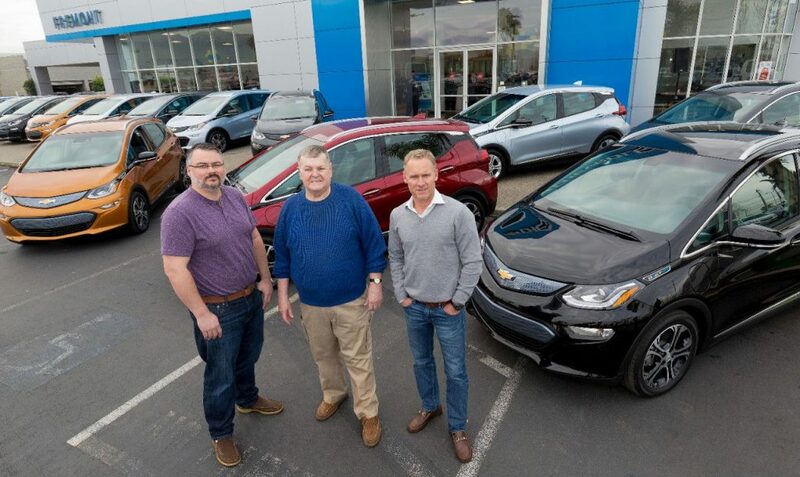 GM says that Bolt EVs are currently in transit to Oregon and California and will arrive this month. Nationwide, the Bolt rollout will begin in 2017 with New York, Massachusetts and Virginia seeing first deliveries in Winter 2017. Throughout the first half of next year, the EV will arrive in additional major metro markets and across the country in mid-2017. GM needs to make sure it takes advantage of the 1 year lead it has on the Tesla Model 3, and will work hard to make sure it maintains the lead in the entry-level 200-mile EV category. This entry was posted in Availability on December 13, 2016 by Admin. My lease on my Nissan Leaf is coming up in three months. I live in Minnesota, is there a way to buy this car and have it shipped here? Please let me know. People are buying and shipping out of California, but GM may have put a stop to that. Best to read these threads, and contact some dealers in CA (or wherever you want to have it shipped from).